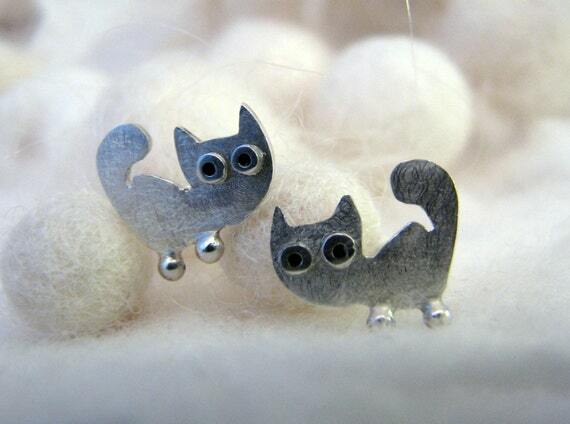 I made these lovely kitty stud earrings thinking of men, wishing to buy a present for their "kitties"! :) Made from sterling silver, rather small, with initials on the backside. Folksy :: "Stripey Moggy Earrings"
Folksy :: Buy "Gorgeous Glass-Beaded Dangly Earrings"
Folksy :: "Tiger Feet Kitty Earrings"